and historical needs of our community. Events are held at the Nutley Museum, 65 Church Street, Nutley, unless otherwise noted. Please join us to view five restored murals painted by Nutley students 85 years ago and witness the unveiling of the new mural that will finally complete the set!! 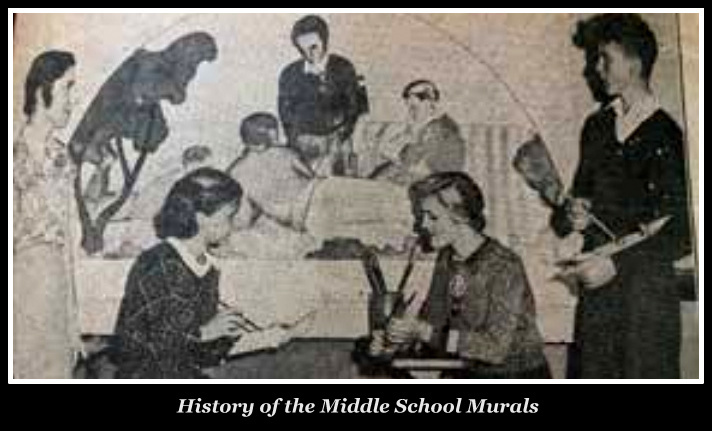 In 1934, five Nutley students decorated their school with murals. In 2019, the Nutley Historical Society oversaw the repair and restoration of these unique works of art. The sixth space was left undecorated, and in 2016 the Nutley Historical Society sponsored a student art competition to fill that niche with a mural honoring the Nutley Amateur Circus, an 1894 Red Cross fundraiser. The five restored murals will be available for guided viewings from 6:30 to 7:00. At 7:00 we will gather in the auditorium to recognize some of those who helped make the restorations possible and to unveil the newest mural before its installation. Due to security procedures for public events in place at our middle school, your name must be on our list to be admitted to this event. Also of Interest in Nutley, N.J. The Nutley Historical Society sponsors “A Walk in the Park” led by Nutley Museum director John Simko. The walking tour begins at the Mud Hole (aka Memorial Park, near the intersection of Passaic and Vreeland avenues) and travels along the Third River (aka Yountakah River). Simko explains the river’s role in Nutley history as a source for early industry, as inspiration for world-class artists, as a symbol of civic pride, as an important boundary marker, and as a fitting memorial to our war veterans. The tour visits the sites of three former mills, tours the pre-Revolutionary War era Van Giesen homestead (aka Vreeland Homestead, Womens' Club), and reveals why the Third River splits in two. Simko recounts the beginnings of our hundred-year-old Carnegie Library and even older Town Hall, and then a walk through one of Nutley’s oldest cemeteries. This showing marks the third installment of The Gary and Zeny Erbe Old-Time Film Festival, a film series that will be held at the Nutley Museum. All events will feature films that were donated to the Nutley Museum by Nutley residents Gary and Zeny Erbe. Gary Erbe, a world-renowned painter who lives in Nutley, collected the antique films that will be shown and had them transferred to DVDs. More information on the Nutley Museum, and meeting room rental with photos. Read all about it and more in dozens of archived stories! This showing marks the second installment of The Gary and Zeny Erbe Old-Time Film Festival, a film series that will be held at the Nutley Museum. All events will feature films that were donated to the Nutley Museum by Nutley residents Gary and Zeny Erbe. Gary Erbe, a world-renowned painter who lives in Nutley, collected all the antique films that will be shown and recently had them transferred to DVDs. 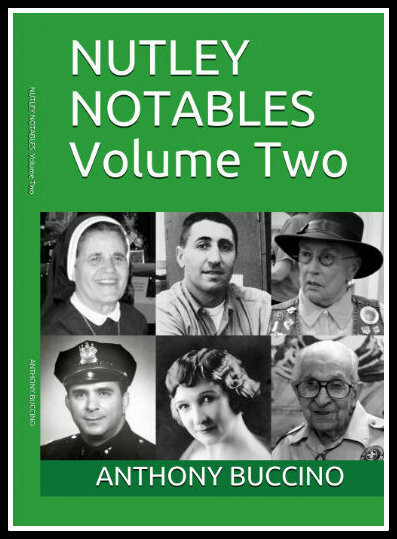 Nutley author Anthony Buccino will discuss his latest volume Nutley Notables The Men and Women Who Made a Memorable Impact on Our Hometown, Nutley, New Jersey - Volume Two at the museum in April. See who's who in Nuley Notables. Nutley, New Jersey, August 1, 2018 – The Nutley Historical Society is pleased to announce that entries are now being accepted for Picturing Nutley, a photography contest for the residents of the town. Picturing Nutley is supported by a $1,000 Grant awarded by Essex County. About the Contest: Guidelines: Entries must be pictures that Nutley residents have taken of the town. (This is not a contest for older or historical pictures.) Each entrant can enter up to three photos. All submissions will be judged by the Board of Trustees of the Nutley Historical Society, and decisions of the judges are final. The Board of Trustees of the Nutley Historical Society has considered all the photographs entered in the Picturing Nutley Contest, and we are delighted to congratulate the winners! More than 100 wonderful photographs were entered in the contest, and we congratulate and thank everyone who participated! We are delighted to announce that there will be an exhibition early this summer in the Nutley Public Library that will feature your photographs! Congratulations to everyone who entered, and many thanks for being part of the Picturing Nutley Contest! A re you the kind of Nutleyite who likes to study our town’s fascinating history? Are you also making resolutions for the new year? If so, we have a suggestion for you. Why not make 2018 the year to get more involved with the Nutley Museum and Historical Society? The Society offers great resources for you and your family – and all you need to do is to attend some of the events that are held at the Nutley Museum, which is located at 65 Church Street, a short stroll up the hill from Franklin Avenue. 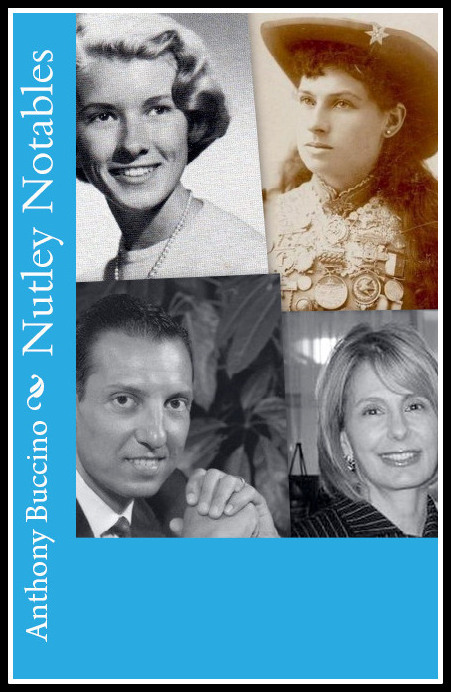 • When and Where Was the Nutley Historical Society Founded? It happened back in 1945, when a group of forward-thinking citizens established a society to preserve our town’s history. They were motivated, in part, because the Park Street School, a brick school house that was built back in 1875, wasn’t being used for too much. The society decided to use that school as a town museum – and 72 years later, the Nutley Museum is still here to enjoy. • What’s in the Nutley Museum? 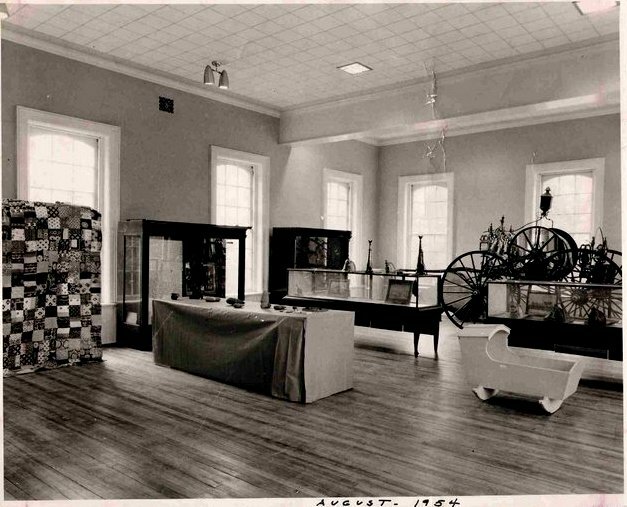 The Nutley Museum houses an extensive collection of objects, artworks and documents from Nutley history. 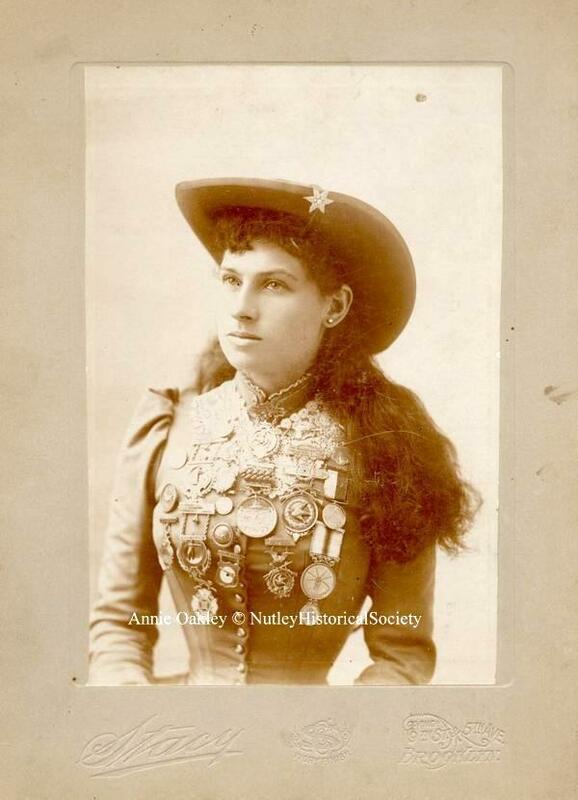 You’ll find one of America’s most important collection of items owned by Annie Oakley, the famous sharpshooter who moved to Nutley in 1892 and stayed for more than a decade. There are also artworks on display that were created by Reginald Marsh, Arthur Hoeber, Gary T. Erbe and other great painters who lived and live in Nutley. There are displays on the history of Nutley sports, businesses, Police and Fire Departments, and more. Plus, special exhibitions are held throughout the year. • When Can You Visit the Nutley Museum? The easiest way to visit is to attend one of the family events that are held throughout the year. There’s an Ice Cream Social in the spring, a Pumpkin Festival in the fall, and a Christmas Party in December, complete with carol singing and a beautiful tree to admire. There are also lectures, historical exhibitions and more. You can also call 973-667-1528 to arrange a private visit and tour. • What about School Groups? The Historical Society enthusiastically invites students and teachers from Nutley schools to visit and learn about Nutley history! Call 973-667-1528. • How Can You Join and Get Involved? Click Join Now. Student memberships cost $5.00, family memberships are $25.00, and there are other levels. As a member, you will receive advance email notifications of upcoming events and other benefits. • Can You Rent the First Floor of the Nutley Museum for Parties and Events? Yes, you can. The beautiful downstairs room in the Museum, complete with kitchen, is one of the most popular and affordable rental spaces in town. Call 973-667-1528 to learn more. • The Nutley Historical Society Is Your Place to . . .
Connect with other town history buffs . . . research your town, ancestors, and home . . . enjoy special lectures and events . . . and feel just plain good about living in Nutley! For school groups and private museum tours, please call Kerry Flynn, caretaker, at 973-667-1528, or Suzanne Hagert at 973-667-4270. The Nutley Historical Society is a not-for-profit organization dedicated to serve the educational, cultural, and historical needs of our community. Our trustees and docents continue to itemize, catalog and preserve as much Nutley history as we can. If you have an item tied to our town's history, please consider donating it to the Nutley Museum. As a member, you and your family are welcome to participate in any or all of our upcoming events. When you join or renew your membership, the Nutley Historical Society will be able to continue and expand our work to bring you interesting, informational and fun programs throughout the year. By making our history available and known to those who visit the museum, we continue to move forward by knowing about and appreciating our past. We can only accomplish this with your help. Now is a great time to join or renew your Nutley Historical Society membership. Thanks to all our members who supported the Nutley Historical Society’s events and activities. If you are interested in volunteering to be on one of our committees or for any additional information, please call 973-667-1528. The importance of history in general cannot be doubted. It sets before us striking instances of virtue, enterprise, courage, generosity, patriotism and, by a natural principle of emulation, encourages us to copy such noble examples. History displays the dealings of God with mankind. It often leads us to view with awe His darker judgments and again it awakens the liveliest emotions of gratitude for His kind and benignant dispensations. “It shall be the purpose . . . of this association to do all in its power to collect all the available historical material connected with . . . the history of Nutley and carefully to preserve the same. . . . This shall mean ultimately the writing of the history of the town. . . Down through the years, work on this project continued until the present volume has been prepared. So now, since History never stops, we in the Nutley Historical Society in 1961—like those who wrote the first History of Nutley in 1907— pass on the torch to those coming generations who at some future time will feel the need to once again issue a . . .